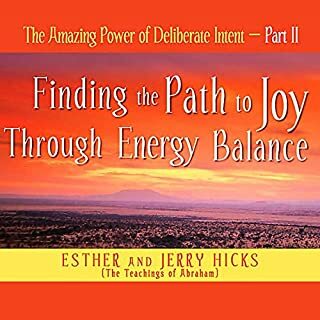 ©2004 Esther and Jerry Hicks (P)2005 Hay House, Inc. I am a fan of the Hicks. I have many of their books and am always encouraging others to listen. Their style of delivery includes repeating concepts and ideas so you think they are filling time. However, they are trying to get the points to stick in your mind. I gave this book a 3 because it is only a foundation or primer to Volume 2 the Processes. If you have never read one of their books, then get this one. If you have read their books, then jump to Volume 2 as it recaps what was in this volume. 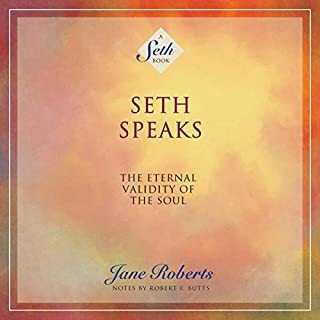 Regardless of your past reads, everyone will gain much by listening to this volume. 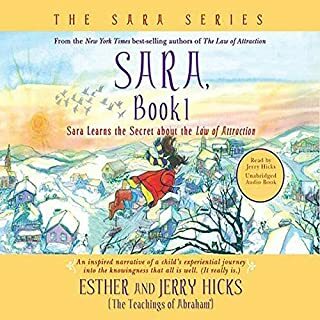 I am a former skeptic who is now an Abraham-Hicks fan, after listening to "Ask and It Is Given". I highly recommend you give it a try. 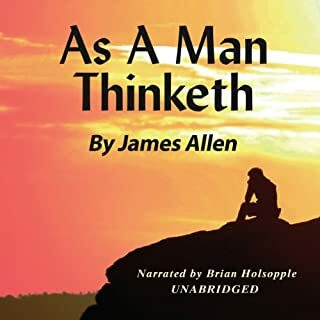 This is a good one to listen to on the hammock or while fishing - I used my trampoline for a hammock, and did it in an aftrnoon. 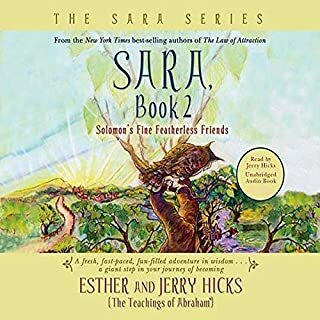 A friend of mine recommended I view one of the Abraham clips on the web, then buy an audiobook - I didn't really think it worth my time, but I looked anyway. 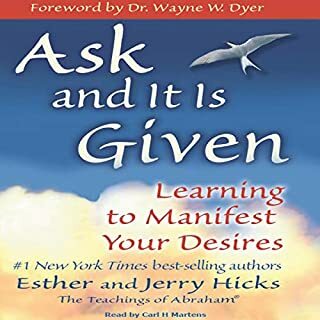 Still not sure, but I immediately got "Ask and It is Given", and I'm glad I didn't dismiss it. It was that thump on the forehead that I needed. 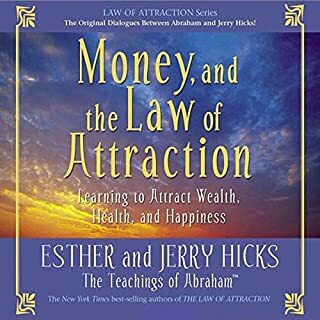 You don't have to believe Ms. Hicks is channeling higher consciousness, or that the collective "Abraham" is real. Just suspend disbelief and listen to what 'they' have to say, anyway. What you hear is plain spoken, down-to-earth wisdom delivered with humor and authority - wherever it's coming from. 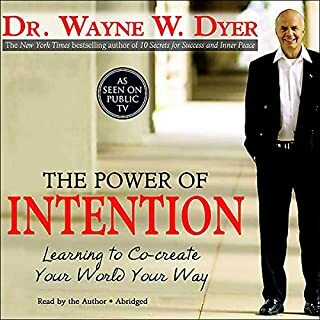 I've listened to a lot of success oriented audiobooks. This is one of the most important, because it is a roadmap to programming your mind to get to where you want to be. 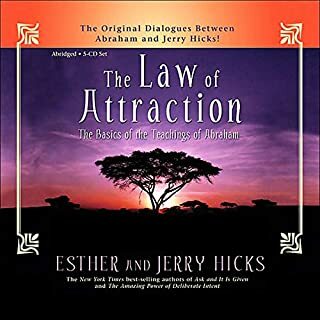 It needs to be listened to several times to really understand the concepts, but once understood, it will help your life. Now, I'm a bit skeptical of the whole "Abraham" thing, and it seems very strange to me. But I've chosen to disregard that because the material presented is critical to know. Many people will live out their entire lives without being exposed to this information, and that is a shame. Each person should learn that anything is possible for them, and learning this information is a very good place to start. 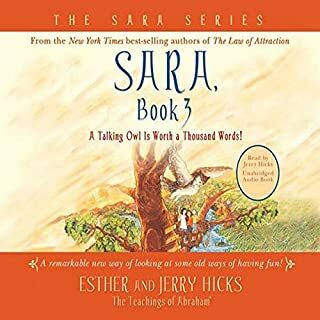 I found Jerry and Ester Hicks work about 3 years ago, they were mentioned in the forward of another book I was reading. Their teachings are simple and have changed my life for the better. 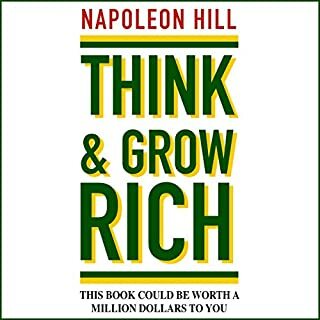 I highly recommend this book if you are open to new ideas, interested in personal growth and enriching your life. 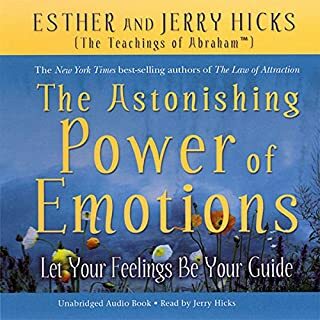 Whether or not you believe that Esther Hicks is actually channeling the thoughts of a group of non-physical beings, this recording will make you sit back and think. The words are wise, and when put into practice, will change your life and the way you look at anything you ever desired. This book deserves the high ratings it has gotten on this site. This is such an eye opener....gives you a lot to think about but in such a healthy way. 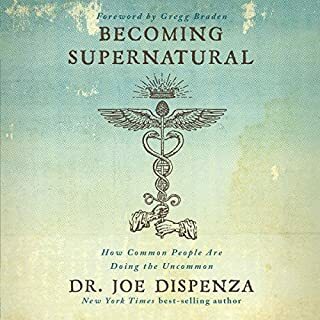 I would recommend this book to every one. This book was very helpful and enlightening !!! 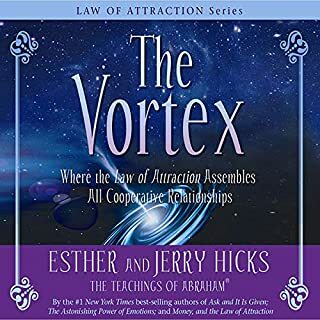 Jerry and Esther Hicks provide an illuminating look at the Law of Attraction, placing the responsibility for what you have in your life squarely on your shoulders. The principles of "how the universe works" are clearly espoused and the writing is engaging. 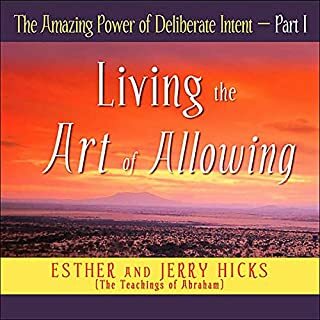 This is a book to listen to again and again so that the principles are absorbed almost through osmosis. A reminder to begin by appreciating what we have now so that we attract more of what we appreciate is thoughtfully presented. The tools and exercises in Part II are worth their weight in gold. Highly recommended. 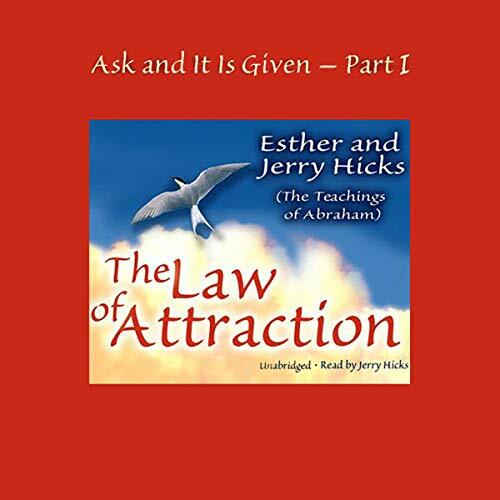 A book that is a classic primer on the Law of Attraction. I'm recommending it to all my friends! The information and wisdom gifted through this book is powerful and motivating. Highly recommended. However; there's plenty of text omitted. 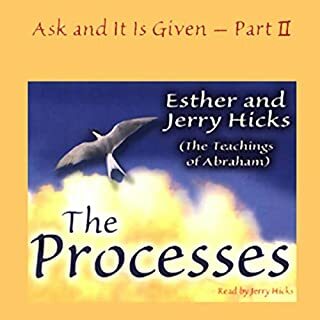 Throughout the book there is mention of the "processes" to follow. 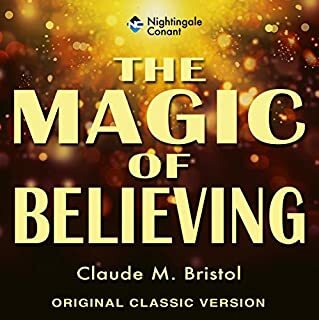 These come at the end of the written text but are omitted from the audio book and there is no mention of this omission here on the Audible.com site or at the beginning of the reading. Sadly, the audio book creates anticipation and then does not follow through. Be prepared. Because of this, I suggest this version as a supplement to the written version. 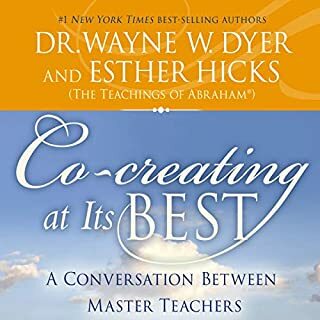 There is some interesting and hopeful advice in the book but the content is so repetitive and the narrative so monotone it's difficult to follow the recording. Also, the recorded version does not include one of the more important sections of the books - the exercises! Definitely stick with the printed version of the book in this case. Great advice for a great life. Wonderfully powerful advice about how to create the life you desire. Listen again and again.